Mr Ramzan Siddique Bhatti son of Mr Muhammad Siddique was born on June 2, 1976 in Lahore. He graduated in 1995 from Forman Christian College, Lahore. 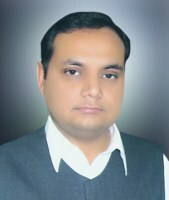 A businessman, who was Member, Provincial Assembly of the Punjab during 2008-13 and 2013-18. He has returned to the Punjab Assembly for the third consecutive term in general elections 2018. He has functioned as Parliamentary Secretary for Local Government & Community Development from 2013 to 2018. Caltex Petrol Pump, Chungi Amarsidho Opp. Wapda Grid Station, Sports Complex, Lahore.